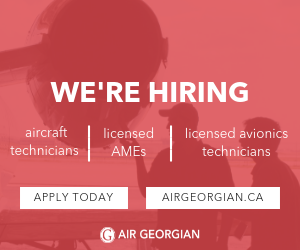 The Moncton Flight College (MFC) is looking for Professional Commercial Pilots to join our team! MFC is the largest flight school in Canada. We have between 450-500 full time students and long-term contracts with several airlines. As an instructor, you will be able to build flight hours and experience quickly. MFC is a valuable member of the Exchange Income Corporation (EIC) group of companies including; PAL Airlines, Perimeter Airlines, Calm Air, Air Borealis, Wasaya Airlines and Keewatin Air. As such, there are opportunities for career path development within our own EIC network. Our training bases are located in Moncton (YQM) and Fredericton (YFC), New Brunswick. Both airport bases have excellent infrastructure and are ideal locations for flight training activities. MFC provides several programs including B.Sc in Aviation, in partnership with Mount Allison University, Diploma in Aviation, Integrated ATP and Airline Cadet Training. MFC has approximately 60 aircraft in the fleet (DA20, C-172, PA44 and C90). ▪ Please send your resume showing your experience and attach your qualifications to MFC through e-mail at jobs@mfc.nb.ca, or in person.